I have been waiting for the skippers to arrive as years before, and finally I see it. The brown skipper under wings blended in with the shade. 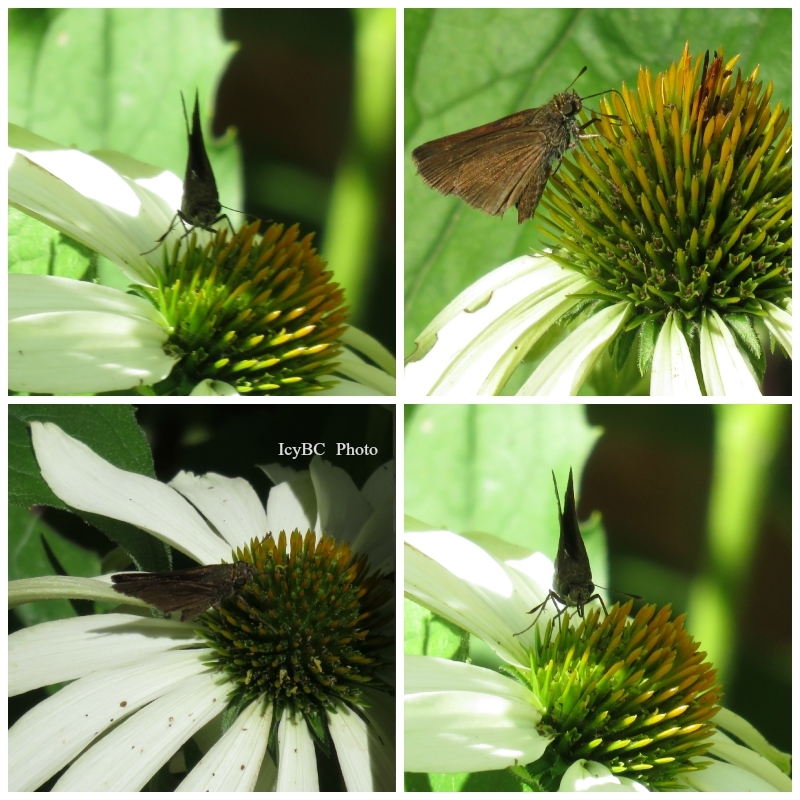 She/he has never opened her/his wings once while visiting my white coneflowers. Nevertheless, I was happy and rewarded after a long wait. This past week heat has brought back this tiny flickering fast wings. She didn't stay around for too long. 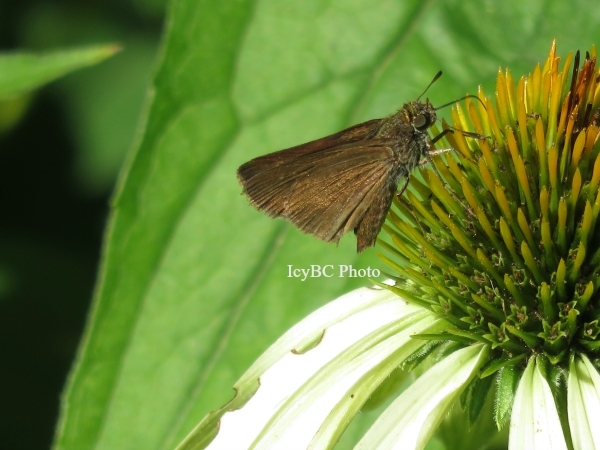 Wonderful pictures of the brown skipper. I just found your blog again. I always enjoyed seeing your nature pictures. I missed them. lovely photos you captured, nice to hear from you Icy! Boa tarde, As fotos são de excelência, com qualidade, revela a beleza da natureza que encanta. Gostei de conhecer este seu belo espaço.